Panasonic UF-890 fax machine or Panafax UF-890 has super fast modem that uses advanced compression to transfer a high-quality image in as fast as three seconds. Panasonic UF-890 fax machine Can perform multiple jobs as the same time. While transmitting a fax from memory. Panafax UF-890 could also be printing out a document from a PC and scanning a new document into memory for its next transmission. 3-Second Super G3 Transmission - Panasonic UF-890 Panasonic's Super G3 33.6 Kbps fax modem uses advanced JBIG compression to transfer a high-quality image in as fast as three seconds. Powerful Multi-Tasking - Panasonic UF-890 fax machine Can perform multiple jobs as the same time. While transmitting a fax from memory, it could also be printing out a document from a PC and scanning a new document into memory for its next transmission. 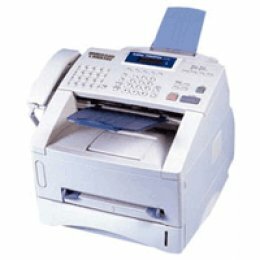 Quick Memory Transmission - Panasonic UF-890 Fax Machine Dials as soon as the first page has been scanned. You can continue to scan in additional pages while transmission is taking place. Large Expandable Memory - Panasonic UF-890 fax machine High capacity flash memory will protect your data safely even when a power outage occurs or if the unit is turned off. 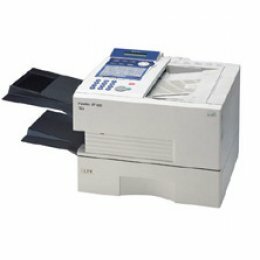 All-in-one Print Cartridge - Panasonic UF-890 fax machine Includes toner, developer, and drum for quicker replacement. Panasonic UF-890 long-life cartridge simplifies maintenance and has a service life of approximately 10,000 pages. Energy Saver Mode - Panasonic UF-890 fax machine power consumption is reduced to incredible 1.3 Wh in the sleep mode.